YOUR CAREER IS A GAME WITH A STRUCTURE AND RULES. IT’S ALL ABOUT HOW YOU PLAY IT. I used to work for a video game company. Early in my tenure there, I heard a colleague remark that video games are the only form of entertainment where you get to write your own story and determine your own ending. I’ve since left the business, but that idea has stuck with me. Consider any video, phone, or tablet game you play: Your success rests on the series of discrete, split-second decisions you make. Most games offer hints and guides to help you make them, but the better a player you become, the fewer tips you need to do well. Careers are similar. Starting out, you rely on a handful of mentors who critique your work, offer tips, and show you how to work the coffee machine. But as you leveled up, those helpers grow scarcer and you begin relying on your own expertise. What’s more, there are rules and a structure to every career path, and—as in video games—the better you understand them, the further you’ll advance. 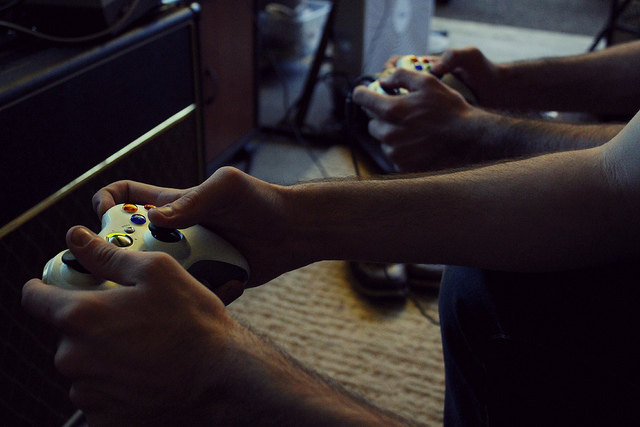 Here are four career lessons I’ve learned from video games. YOUR CAREER IS A KIND OF GAME. Get comfortable with that idea. Much as you would starting out at the first level of a new video game, you have to figure out the strategies, conventions, and rules of your career universe. Every business or company has a way of doing things that reflects how the game is played within its industry. (For example, the way one advertising agency operates usually holds true across the advertising industry.) If you want to succeed in a given universe, you can’t bend it to your will. These conventions are tools to use, not limitations to resist. YOUR CAREER GAME HAS BOUNDARIES. The object of the game is to level up, but there’s more than one way to do that. You need to know how wide you can swing and still rack up points. How creative can you really be? Just how “outside-the-box” is “outside-the-box” at your company? (Tip: If they’re still using that phrase, the answer is probably “not very.”) You want to find creative ways to advance that aren’t so unconventional that you end up trying to play a different game than the one you’re in. Be crafty, but don’t wind up crafting your own demise. Be honest and self-aware about your strengths, and surround yourself with people who can do what you can’t. Make strategic alliances with those who can help you as well as with those you can help. You need to move from one level to the next, but no one said you had to do it alone. Beware, though—you’ll encounter players who might seem helpful at first but turn out not to be. Do not engage them. Step to the side and continue on your way. There’s nothing to be gained from going head-to-head with non-helpers—some of whom might even play the victim as they drag you down. In the corporate world it’s easy to feel diminutive or insignificant. Always remember that no matter how big the universe, the path through it is yours to blaze. It’s a story you’re writing as you go, and each decision—right or wrong, big or small—keeps you moving. Sometimes you’ll be a minor character, sometimes you’ll duke it out with an enemy or a stronger player, and sometimes you’ll just want to quit. But that’s just how gameplay works. Every challenge and obstacle is meant to make you a better player. Bonus Easter Egg: If, at some point, you do find yourself with your back against a wall, bereft of weapons, gold, or magic, don’t be afraid. Quitting the game may be the decision that unlocks a hidden level, one that lets you keep leveling up—in the same game or a different one—with greater ease or satisfaction than you did in any level or universe before.